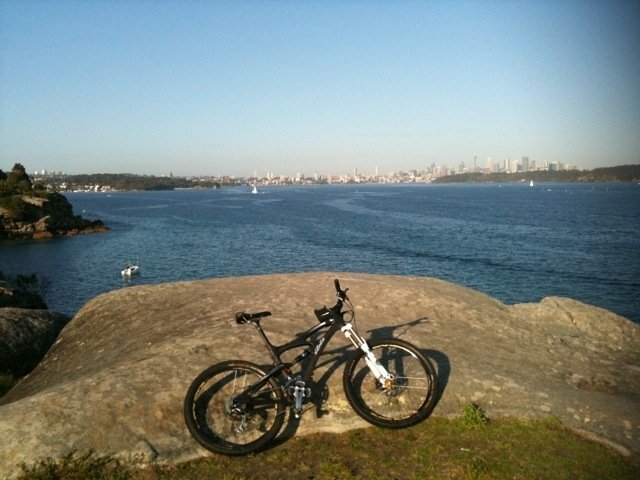 Last night I thought, with Sanna away on business to Brisbane until tomorrow, i’ll do something different, I’ll get up early and ride out Watsons bay/South head. I got here just before 7:30am to see the early morning sun shining over the harbor. In the photo you can just about make out the city 11km away in the distance, It’s very peaceful. 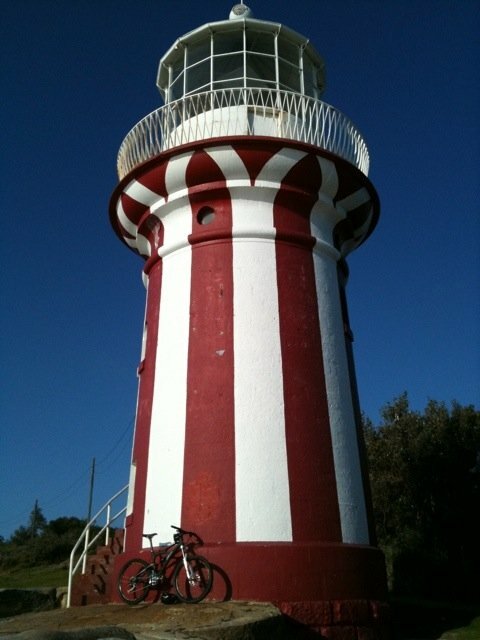 This 2nd photo is of the old red and white lighthouse at the South head of Sydney harbor.